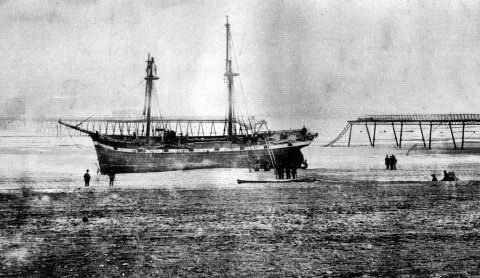 December 9th 1874 when the Griffin came ashore in a storm at Redcar after damaging the pier at Coatham. It was one of two ships driven onto the beach that day and finally wrecked on the Coatham Sands, the other vessel was Corrymbus. Now I never new there had been a pier at Coatham did you?